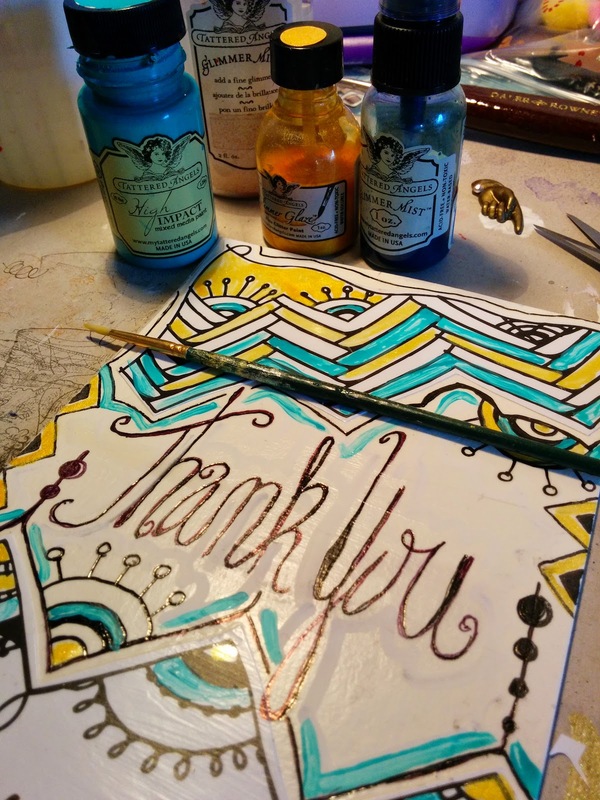 There is this really cool kind of doodling known as "Zentangle," which combines art with meditation. Maybe you have seen it around or done some yourself? There are lots of how-to books and classes on this creative drawing that can be done with a Sharpie pen - or a fancy pens and pencils. I gotta say that the fine point Sharpie has been one of my favorite pens since high school - it's my doodle tool of choice. Some folks love the complex designs of Zentangle, and some not so much - but it is one of those art forms easily adaptable to all skill levels- I've tried my hand at it a couple of times. 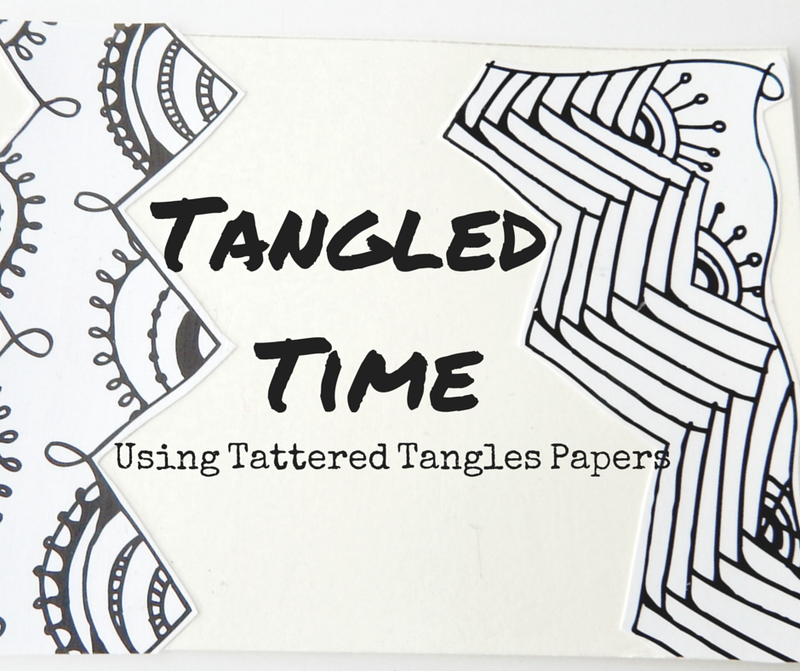 Tattered Angels came out with a line of papers named Tattered Tangles that are an awesome starting place for this kind of doodling. Printed on a plain white, slick surface (one perfect for Sharpie's!) called, "leather paper" for a mistable surface, these paper's are great for adapting and altering to my own style. I really love that the Tangled pages are a starting point for creativity. Recently (last week) there was a designer challenge at the Canvas Corp Brands Creative Studio to use these papers, and I spent some time playing with them. I added some personal touches and Tattered Angels Paints. And then I did another one...the same way. 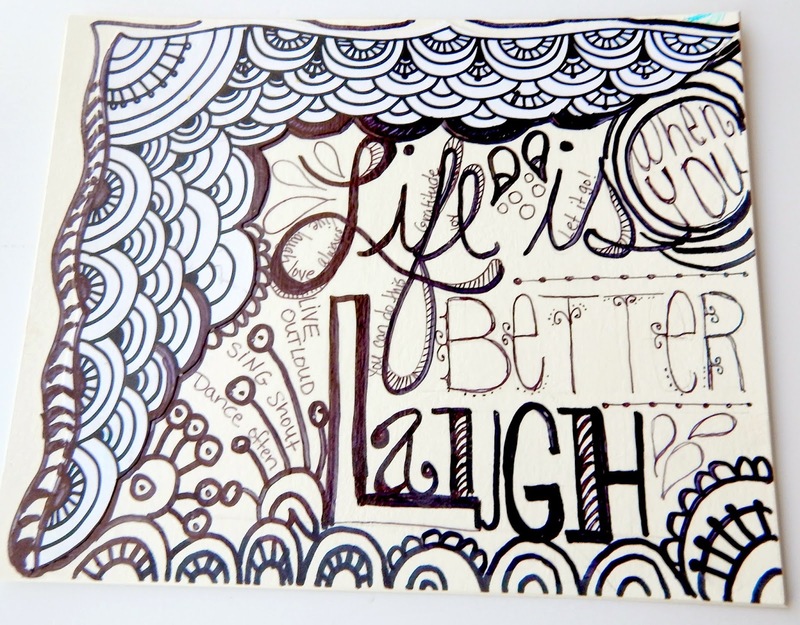 I messed up a bit on this one - if you can't tell it's supposed to say, "Life is better when you laugh!" Because it is. Life is better when I don't over think it, don't sweat the small stuff, and laugh at my own mistakes. These pages are so fun to play with. And there are so many things you can do with them. I was checking out some of the other designer's projects - you gotta check them out too! 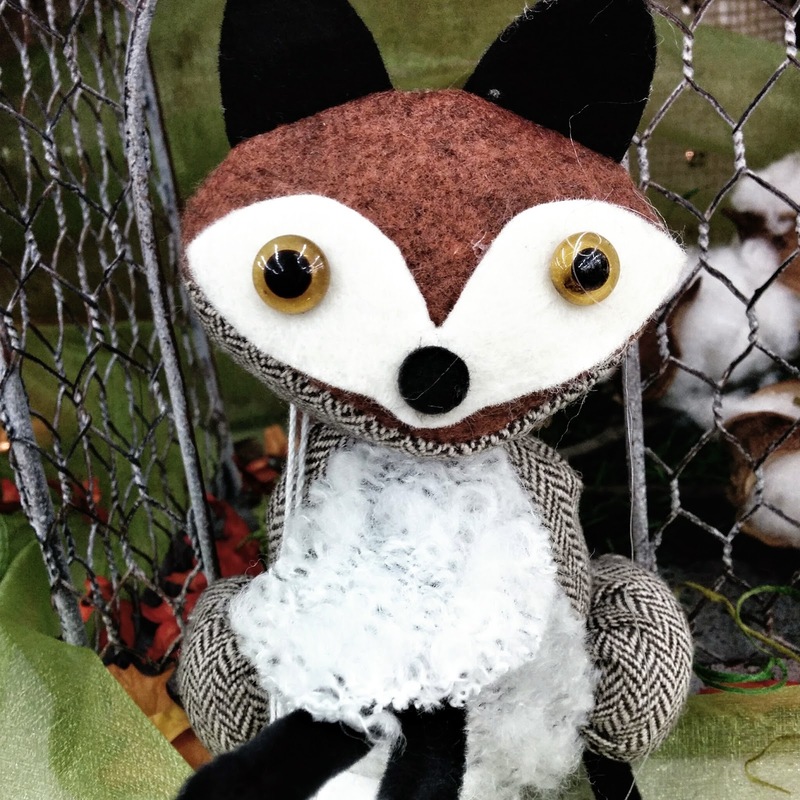 Oh Crafty Goodness! The Fearless Creativity is off the charts. Some of these designers- just - WoW. From the simple to the sensational, The Canvas Corp's Creative Crew really preformed. If you want inspration to try new things and new doodle ideas, go HERE. You can see the full line of mists, paints, sprays, and glazes to colorize the papers here. 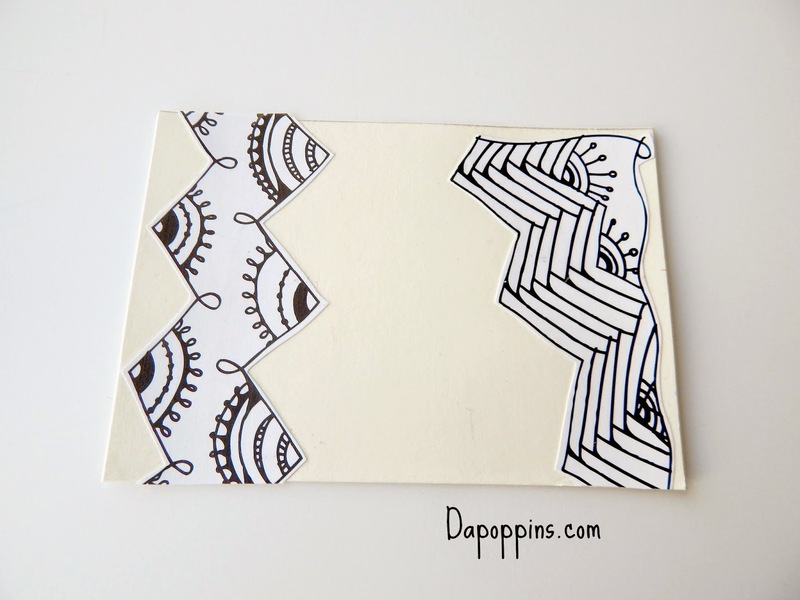 Have you ever tried Zentangle? Do you find it relaxing? 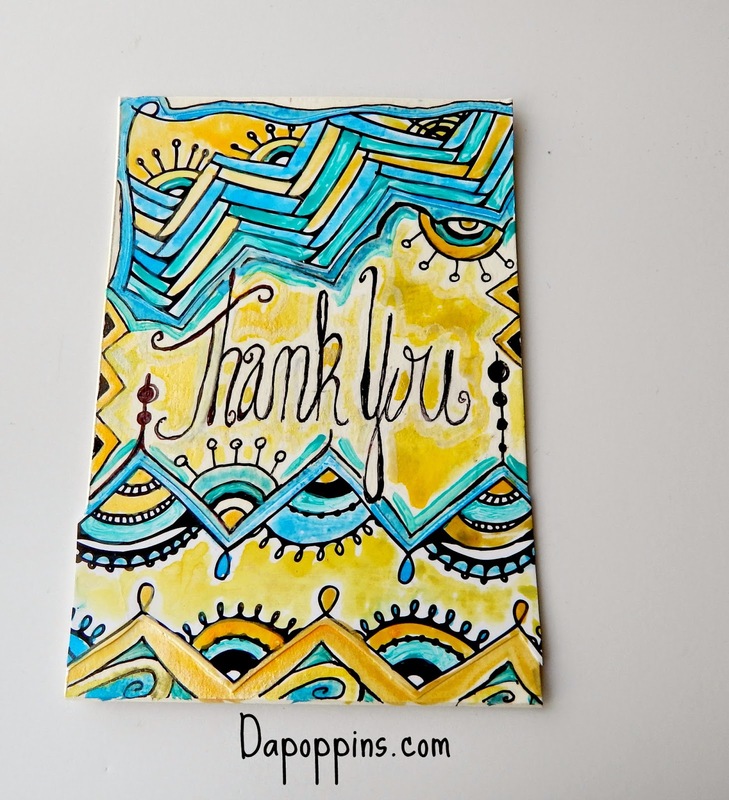 Do you doodle when you are on the phone? (This may or may not be why I made the mistake on the "Laugh" page.) How would you use these pages? Love your tangles - such a great art form. I have seen these books literally everywhere, but I have never done them myself. In high school, I used to do contour drawings, which are very similar in nature, and I loved them. Thanks for the reminder! I'm still unclear as to what Zentangle is..do you come up with these intricate designs or are they pre-printed and you color them in? Is it basically adult coloring? These turned out great, I want to make some!